Art Nouveau: French, 1890-1901. This style is marked by little or no ornamentation, yet having sinuous and organic forms overall. Baroque: A massive style, greatly carved and ornamented continuously overall. It began in Italy, influenced by the Roman Catholic Church; it is characterized by flowing and irregular lines, large twisted columns and heavy molding. This style was typical of the late 17th and early 18th centuries. Chippendale: Mid 18th century. Elegant, rectangular and heavy. This style was a successor of the Queen Anne style and features ball claw feet, on cabriole legs, often with “broken” pediment tops. Dutch: Early Baroque dating from the 17th century. Pieces from this period tend to be massive with late renaissance adaptation. Edwardian: English, 1901-1910. This movement developed as a reaction to the Industrial Age. It is characterized by flowing lines and was largely influenced by nature. Empire: Inspired by the napoleonic Empire during the early 19th century. The style is a combination of both straight and curved lines with classical design elements, and massive pieces generally in mahogany. French Provincial: Rustic version of French furniture from the 17th and 18th centuries. Georgian: 18th century. Heavier and more ornate than Queen Anne, encompassing the following three monarchies. Hepplewhite: Neo-classical furniture style that followed Chippendale from the late 1700’s to 1800. Some Sheraton style, shield and urns ornamentation with tapered legs. This style was developed to unite elegance and function with a conservative style, although some pieces have considerable inlays. Jacobean: Made in the 17th century with a medieval touch. Simple in design with abundant carving. Louis XIV, XV, XVI: French. Made from the 17th to the late 18th century. Louis XIV is heavy and ornate, Louis XV is simpler with some ornamentation, an early subset of this period is known as Regence. Louis XVI is marked by straight lines with geometric shapes and little ornamentation. Neo-Classical: Made and seen between the 18th and 19th century. Elegant and simple with motifs from ancient Greece and Rome; it is also known as the Louis XVI Style. The important archeological discoveries at the time greatly influenced this style’s classical theme. Queen Anne: Early 18th century. Innovative in design with elegant and curved lines, this was a major furniture style and walnut was widely used. Massive bonnet tops pediments, heavy straight molded pediments and cabriole legs were widely used. Rococo: European furniture seen in the early to mid 18th century France after the Baroque period, with delicate ornamentation and curved forms. Sheraton: Named after Thomas Sheraton. Developed out of Hepplewhite featuring straight lines with little ornamentation. Tudor: Typically massive furniture and heavily carved. 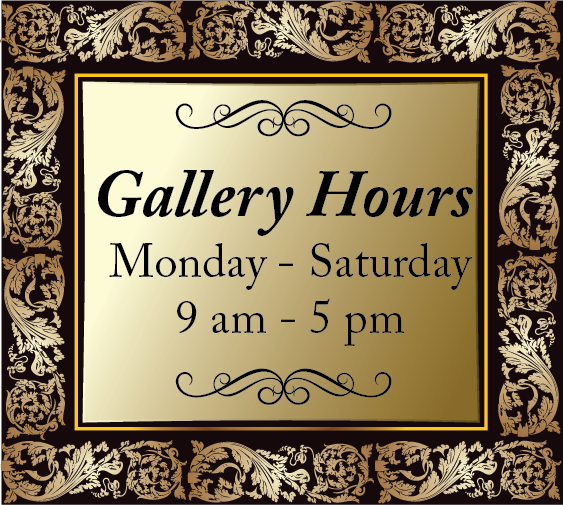 This period was influenced by the Italian renaissance and gothic tradition. Victorian: Very popular at the end of the 19th century. Greatly ornamented and decorated, reflecting styles from the past with heavy floral design, carving, marble top tables and dark finishes. William and Mary: Late 17th century. This style came into prominence during the reign of Dutch William III and his first cousin, Queen Mary II. 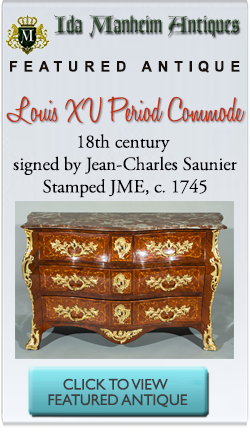 The early origins of this design movement are found in the court style of Louis XIV at Versailles. It and the technique of parquetry found its way with the immigrating French Huguenots into England, and blossomed at the residence of William and Mary. Floral parquetry and especially the tulip motif became important. Patterns of leaves and flowers as well as intricate patterns of tight, swirly lines are characteristic of this period.